We had breakfast in the Golden Engel breakfast room which was a very nice room. Several other people were there. They didn’t have a buffet, just cereals, meats, cheese, breads and hard boiled eggs. It was a cold and rainy morning. We walked back to the Dom and past it to St. Magdenla where Edith Stein had taught. We went in the chapel where several nuns were praying. Then we went back to the cathedral for a final look. We still liked the brightness and color of the stone. 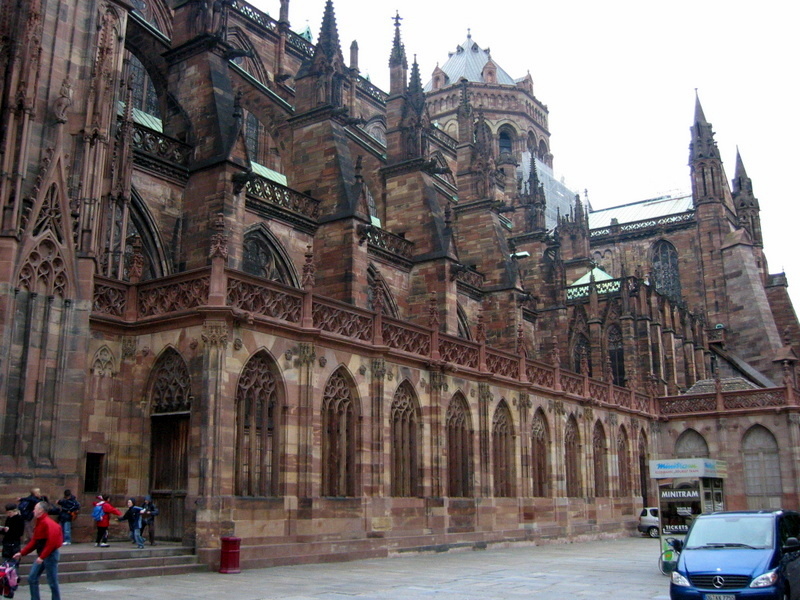 We checked out and headed to Strasbourg in France. It rained most of the way. Our GPS leads us to the cathedral door…..amazing….down some very narrow streets but “she” knew the name of all of them. It stopped raining but was cold and windy…about 50 degrees. We had lunch in a café opposite the cathedral. I had quiche and salad, and my wife had onion soup. apse had one rather small stained glass, flanked by murals. We enjoyed looking at the mechanical clock and the column of angels. 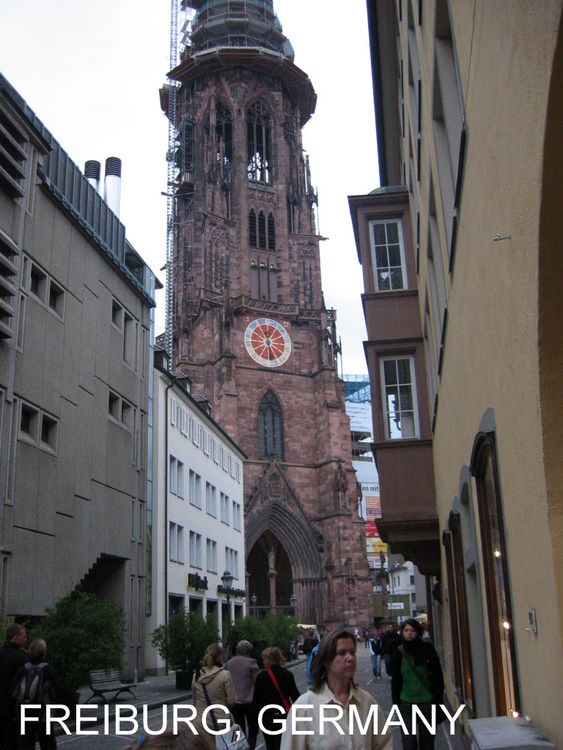 After walking around outside, we headed to Freiburg. 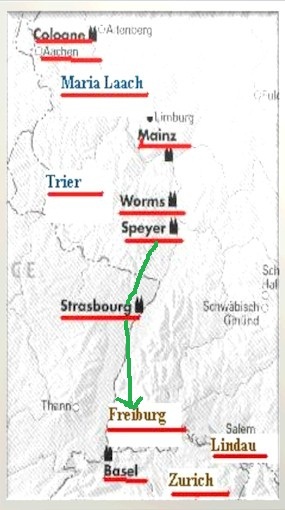 Our “TomTom” GPS got us out of town perfectly and right to our Freiburg hotel. We walked over to the Munster which was about two blocks away. It had stopped raining but was cold. We stopped in a café for a drink and then to the Cathedral. It was almost too dark inside to see it. 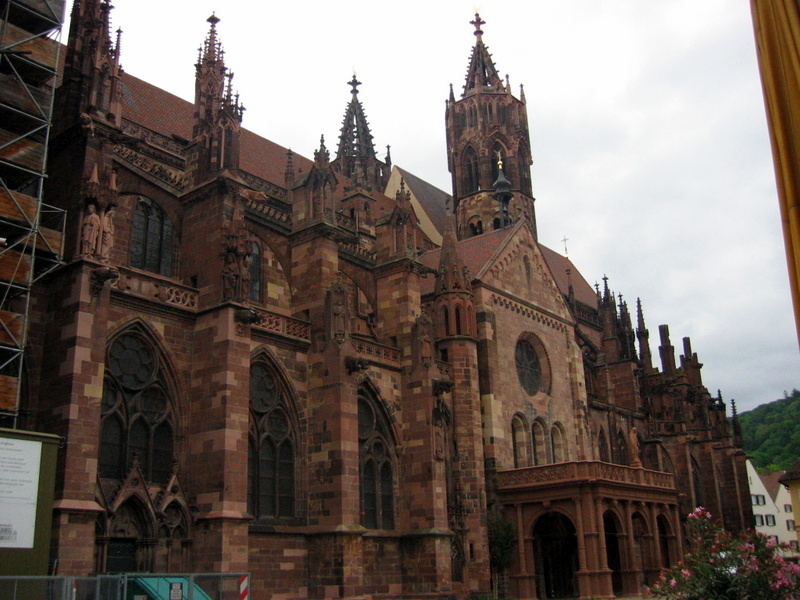 FREIBURG IM BREISGAU (Freiburg Cathedral) was one of those rare Gothic churches to have actually been finished, complete with tower during the middle ages. 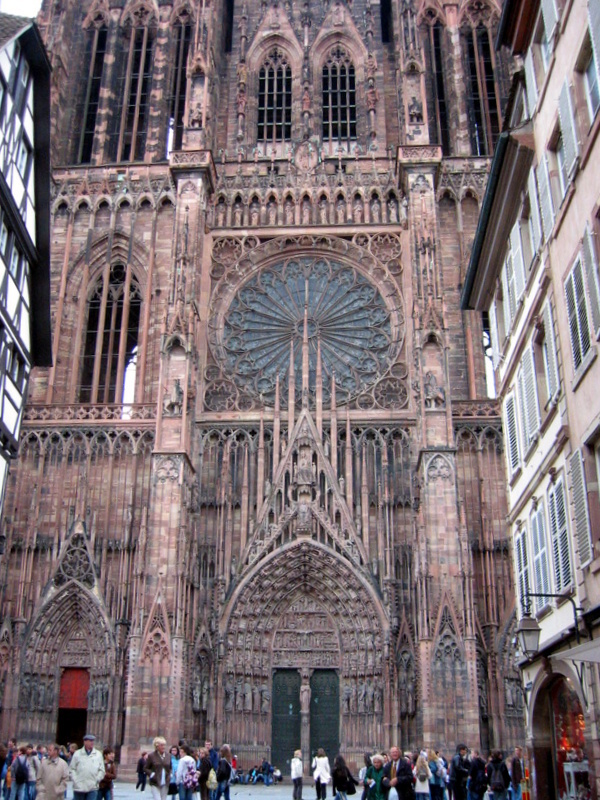 The Church was started in1200 but in 1368 there was an economic decline and the work on church ceased. 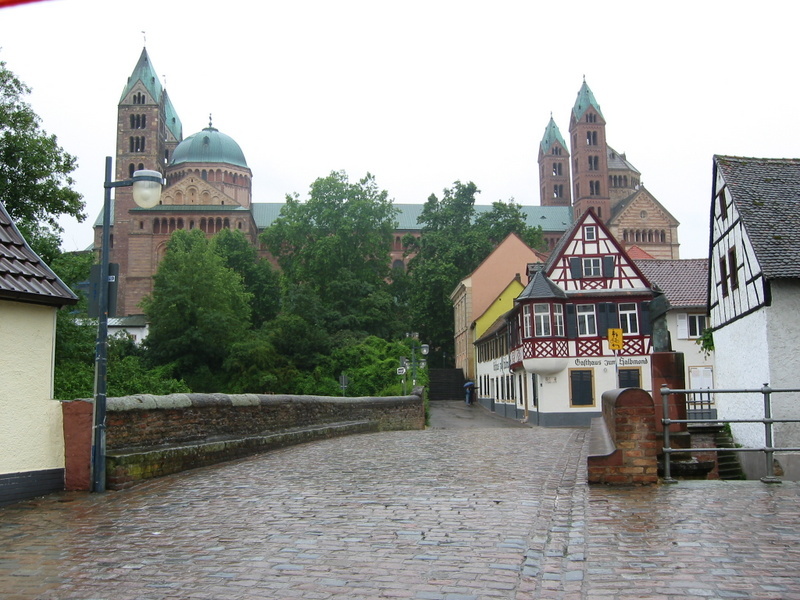 Work resumed on the munster and was completed in first half of 16th century. The style was Romanesque, having a transept with dome above crossing and the two towers which flank the choir. 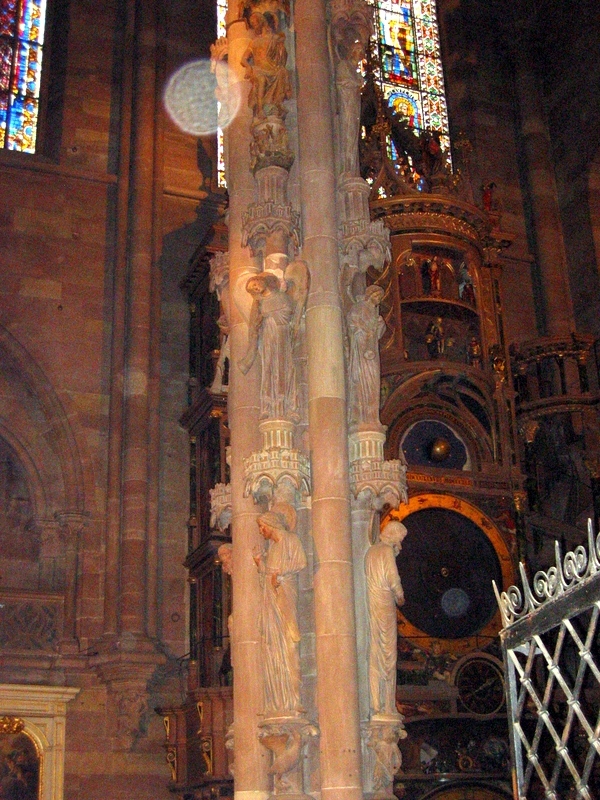 The Romanesque choir was demolished at the end of 15th century for new Gothic one. The Western tower was constructed in 2 phases - 1270-90 and 1300-1330 the octagon was completed. 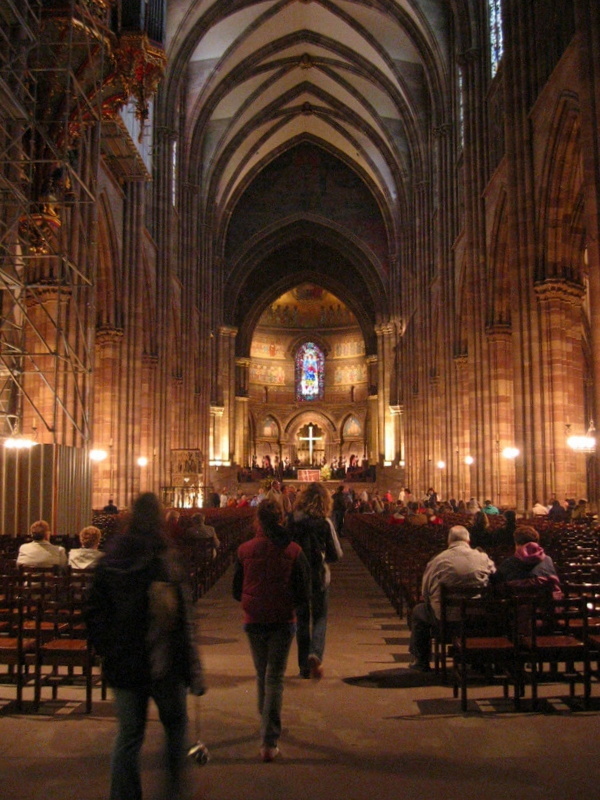 The work on tower was interrupted while the nave was competed. It was resumed in 1300 after change of plan and new architect. The tower has an unique four sided base rising to a 12 sided star gallery then to an 8 sided structure above The octagon has 8 free standing columns. 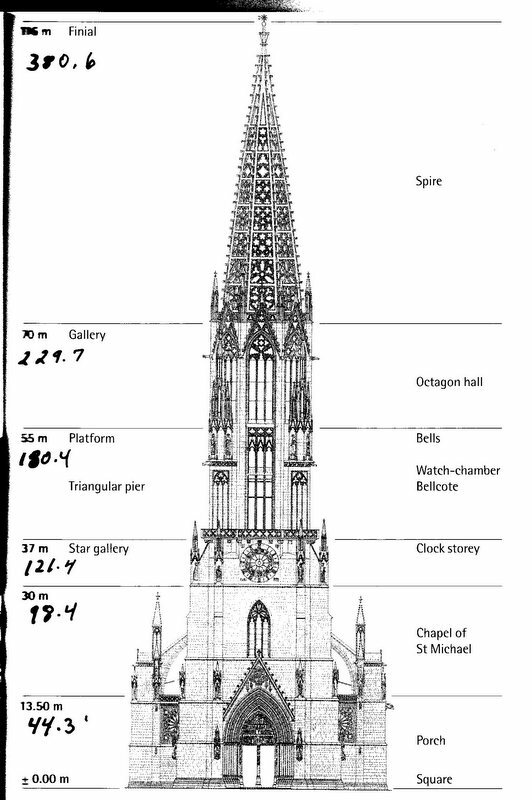 The 380 foot tower is the first entirely openwork stone spire in the history of Gothic buildings. A new chancel was built in 1354 and consecration in 1513. In 1370, funds ran dry and the project halted. It resumed a century later, in 1471. The vaulting over high chancel was constructed in 1510. More description and photos will be on Day 9. 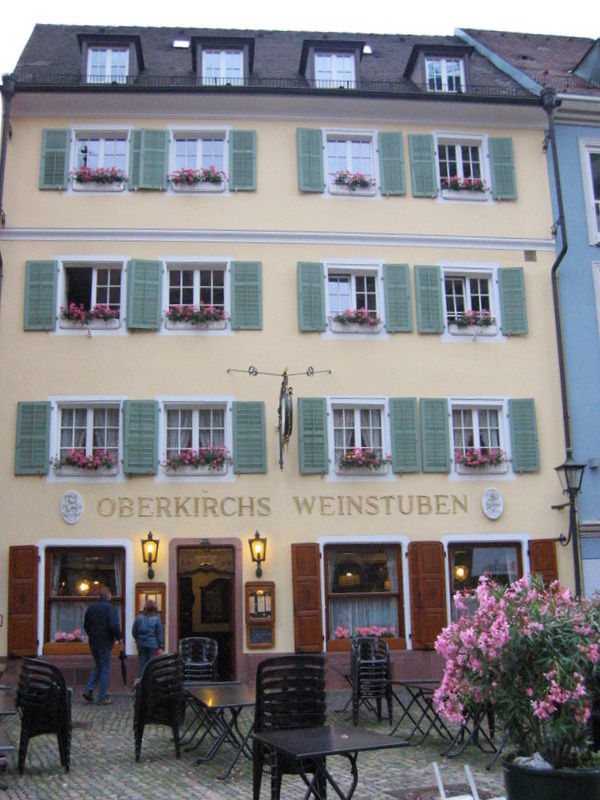 We ate dinner in a very nice restaurant across from the munster, Oberkirch Weinstruble. We shared mushroom bacon in cream sauce. I had turkey medallion in orange pepper sauce with rice and asparagus. My wife had trout and potatoes. We walked a litte around town and back to hotel, a little after 8:00.